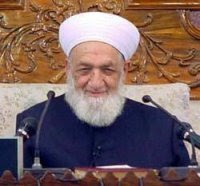 Sheikh Ahmad Kuftaro (may Allah have Mercy & bless his soul), the late grand Mufti of Syria, actively strove to unite the human family. Since 1940 he has been working to achieve better understanding and cooperation amongst the people of the heavenly religions. 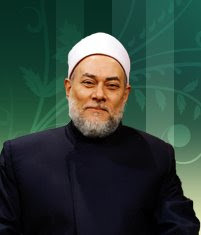 As a teacher of Islam, Sheikh Ahmad Kuftaro uses spiritual and rational education to develop righteous human beings. His message is dedicated to helping to build a civilization on our planet based on the principles of peace, balance and prosperity. His noble work is now being continued by his son Sheikh Salah Kuftaro at Abu Nour Mosque, Damascus, Syria. May Allah be well pleased with them !